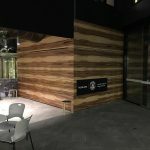 The retail precinct offers a diverse, urban food and beverage experience for students, staff and the general public with a tenant mix that’s progressive, forward-thinking, innovative and boutique. 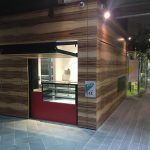 Mirage Doors were approached by Lend Lease to provide a solution for a pop up kitchen in the new RMIT area. 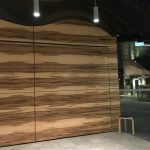 Mirage proposed and supplied 3 fully external counter weighted Bifold doors to meet the architectural cladding requirements and open servery area.